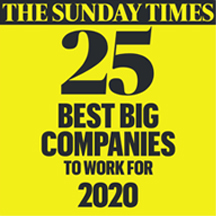 Our success is built on our people serving the best interests of our members, helping them to identify the products and services that are right for them in the most simple and straightforward way possible, so it'll come as no surprise that our people are right at the heart of our organisation. As one of the UK’s most significant financial services institutions, we believe whatever your career aspirations are that we’re diverse enough to have the right opportunity for you. Whether you want a customer facing role in one of our branches or contact centres, are passionate about driving technology change and innovation in IT or have the desire to shape the products we offer to our members – you’ll fit in somewhere in our Society. Here you will find out more information about all of the areas of our organisation that contribute to our success. These teams work together every day to bring to life our mission of putting members first. Simply click on the departments below to find out more. Doing what's right for the business means doing what's right for our customers, that's why we take care of the small things that we know make the biggest difference. We don't wait for a problem to come up with a great solution, our IT and Business Change teams work pro-actively and collaboratively to enable change across our organisation. We can't predict the future but we can plan for it. Our Risk, Compliance and Audit teams ensure we remain the safe and secure organisation we are today. It's more than just dotting the i's and crossing the t's, it's being a part of creating a special experience for our members and our people. Whether we are inspiring the people who work here or engaging with the people who should, we enable our people to be the best they can be. Far from it… the stronger we are as a Society, the better life gets for our members, this is why our Finance team plays such a pivotal part in our success. Insight ensures we deliver market-leading propositions in a simple, transparent way. We want to develop products to suit our customers not customers to suit our products.